Champions for all seasons... these attractive and easy to use displays perform in all weather and can be moved easily. 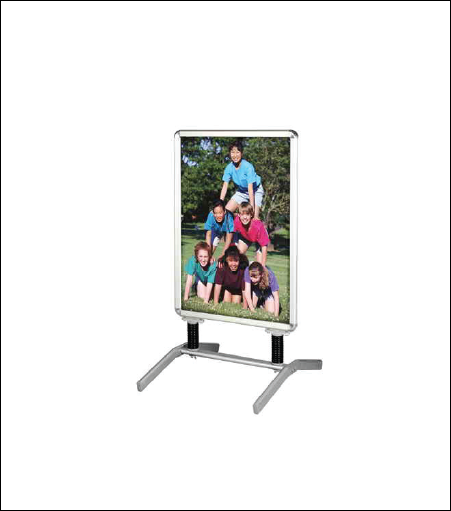 Sturdy, light-weight aluminum frame display with a spring base. Edges easily open and when closed, holds your vinyl graphics tightly. Perfect for outdoor applications such as theaters, schools, promotions and retail locations.